The church is not a building or a place, but rather a people called by Jesus to change the world. The church has no race, ethnicity, social status, or language. 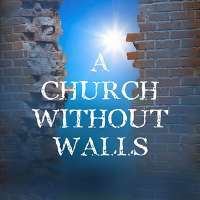 The church has no walls — it’s for everyone, and extends to the hungry, oppressed, and disillusioned. Find out more about what it means to belong to this mission and this movement. God may have started the church with the Jewish people, but always had plans to open it up to all nations. He never intended to "wall-it-in" to only a certain people. He always wanted to spread His message to the entire world. It is our job as His followers to take that message to all those that we can. Mission's Sunday is always about helping those around the world financially, but it is also about breaking down walls. We can get so caught up in our own life that sometimes we need something to help us step back and see the needs of others Jesus was all about this during his ministry and beyond. Its easy to focus on ourselves, but he taught us to look outside us and help others. **(We apologize, but there was a minor issue with the audio and the first few minutes were silent/hard to hear)** God's plan was always to live among us. Unfortunately, the pride of humanity ruined those plans. Man &Woman decided to rebel and go their own way. Throughout the rest of history, God was working to get his people back on board with his plan. He established his spiritual kingdom here on Earth, through Jesus, with the overall goal of bringing his people back to him so they can again live with him in his Eternal Kingdom of Heaven. One of Jesus' goals was to bring about the kingdom of God. It was going to be a hard road, filled with much suffering and pain. The prophecies about this often were made in times of hardship from the Old Testament, yet they always talk about hope for the future. Following Jesus will often bring hardships from the World, but we always have hope for the future, because of Jesus' sacrifice. Mother's Day Service. Mary was a central part of Jesus' life in the early years. Even as a baby, Jesus had prophecies about him. A man name Simeon had waited many years to see the Messiah, and how this herald the coming of God's kingdom. Only through God's Kingdom, via the Lordship of Jesus, is how we achieve true peace as Simeon had now done. Are you willing to look to Jesus for the true peace and joy that we all search for? Mexico and Central America are countries that need to know Jesus. There are many missionary teams in each country trying to help those there come to know our Lord. Understanding the work that goes on down there and their need for financial support is huge. Hearing from those in those areas provides a true sense of how important the need is. The Middle East is the spiritual center of many different religions in the world. Mission teams are needed to help reach out to all those in those countries and bring them to Jesus. Giving for these teams is the best way that we can contribute, even though we cannot be there physically.